Last June, Wooter Apparel outfitted Master P's NOLA Celebrity Basketball Game at the 2017 Essence Festival with full sublimation printed uniforms. "Designing sublimation sportswear is the process of designing on a screen and imagining a jersey. Knowing where every seam, arm and neck hole will sit. Understanding how every flat design will later contour around the various shapes of a body," said Jared Musolino, Head Designer for Wooter Apparel. The process of sublimation really begins with an image or design (patterns, logos, names) that is uploaded with computer software and is printed on a special film paper, and placed on the garment where the dye is then transferred. Heat is applied allowing the ink to become part of the fabric. Prepared by using an inkjet printer, sublimation printing is a versatile digital printing method that is extremely durable: it's a soft breathable fabric (sublimation only works on polyester or garments with a polyester coating), doesn't leave you with numbers, letters, or graphics that peel off, and truly puts the creative design process in the hands of those interested in customizing their own apparel. "When designing sublimation, you start with a 2D canvas. Every element must be considered, from colors, cuts, logo placement to the way the jersey, shorts or pants wrap around a body. With a combination of color theory, vector graphics and fire designs, we take your ideas from the mind to your screen, then straight onto you. Colors are selected, designs are positioned, logos are measured, numbers and names typed, checked, and checked again, before the garment goes to print." Sublimation printing is long-lasting, embodies vibrant colors, and features all-over images, patterns, and designs. Sublimation printing has a very deep and rich history, as Dr. Justin Hayward has written about extensively. Beginning in the 20's and 30's, sublimation was utilized for commercial use with transfer printing applied to plastics and acrylics, before advancing to nylon and polyester fabrics during the 40's and 50's in Britain and France. By the mid-70's, Wes Hoekstra developed the first computer-driven sublimation system at NASA's Jet Propulsion Laboratory and was dubbed the “father” of the computer image sublimation. Since then, digital textile printing technology has grown immensely within the apparel business in the 90's and 2000's. The future of sublimation printing is here with Wooter Apparel: Master P's AAU Program Hoop City Athletics pays homage to Rip City and the Portland Trial Blazers with their latest uniforms from Wooter Apparel. 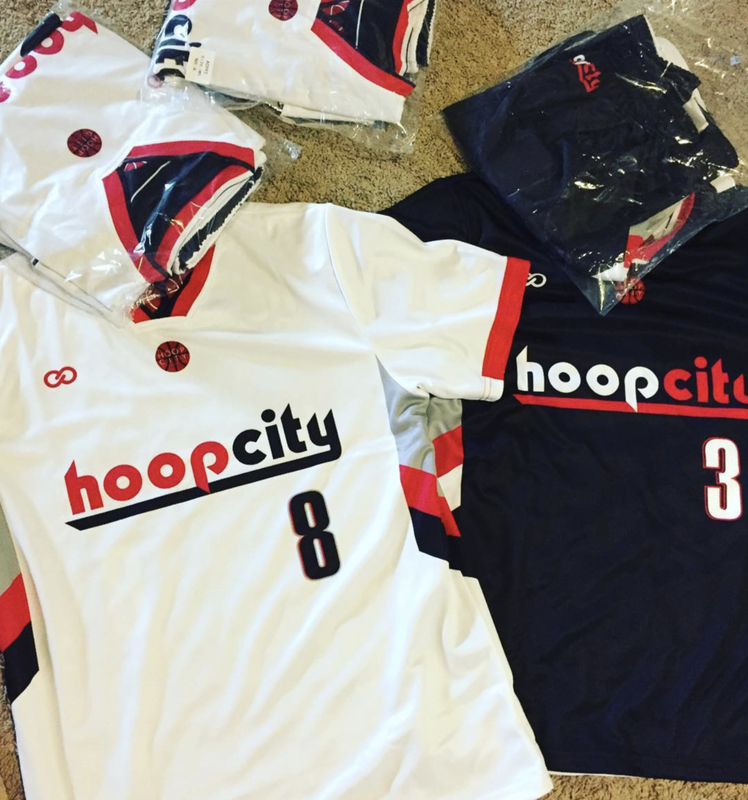 From the design concept to the court, follow @hoopcityathletics on Instagram, Twitter and Facebook. When Wooter Apparel was founded in 2014, sublimation printing became the heart of the company and how they customized sports jerseys and uniforms across all sports and levels. It provided the chance to produce professionally made and high-quality apparel with unlimited vibrant color options, eye-catching images and graphics, and the ability to create complex print designs on the front and back of jerseys and uniforms. "Sublimation draws its main strength from being a digital printing process which allows an unlimited number of design elements and logos to be printed, and individual personalizations like names and number to be included all in one print,"
"This makes it both a cost effect and visually stunning medium," Musolino added. Along with a quick turnaround time (2-3 weeks) and the chance to team with a group of talented designers, Wooter continues to make strides in a global marketplace with full sublimation printing and empowers teams, athletes, leagues, and organizations around the world. But it's not just about sportswear. Wooter has also gone futuristic by incorporating their sublimation printing into their Medusa urban streetwear line. Between Medusa and what Wooter Apparel is doing on the AAU courts around the US of late has become the perfect crossover -- a glimpse at a fresh clean new look that extends from the city to the court. Another example of Wooter's use of sublimation printing is the work the company has done with AAU program, Team Teague in Indiana. Sponsored by NBA brothers Jeff and Marquis Teague, the new jerseys from Wooter Apparel include a Pacers-like blended color scheme of black and white, grey, and yellow with Team Teague script and are featured on their Instagram channel throughout this season. The process. From start to finish, Wooter Apparel truly brings simple ideas rooted heavily in sports, team work, and a love for the game to life through the customized jerseys and uniforms they create specifically for each individual or team and produce with their trademark high-quality care, fabric, and eye-popping sublimation printing.